LONDON, United Kingdom — Established US snack brand LÄRABAR has expanded into the UK, with supermarket chain Sainsbury’s and Amazon stocking the cult favourite. Founded by female entrepreneur Lara Merriken in 2000, the company, which generated sales of over $178 in the US last year, is the fastest growing wellness brand in the nutrition category in its native market. Now Merriken plans on replicating that success on a global scale. “Since founding LÄRABAR in 2000, we have waited for a long time to launch the brand into the UK, but have also been waiting for the right moment. Following our continued success in North America, we have stayed close to food trends and consumer habits in the UK and Europe and feel like at last that moment is here,” Merriken told Welltodo. “The UK is currently undergoing a huge plant-based boom and we wanted LÄRABAR to join this momentum and have its rightful share of voice as the 100% vegan and real food snack proposition within the General Mills portfolio. Seeing appetite from retailers and shoppers, it’s clear we made the right decision,” she added. 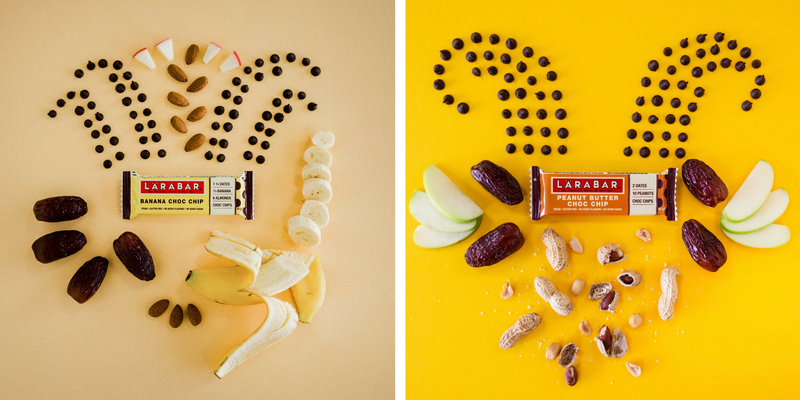 Having created LÄRABAR to fill a gap in the market, Merriken’s original idea was to combine real ingredients such as fruits and nuts to create a simple, real food bar. As the original fruit and nut bar, it quickly scaled before the company was snapped up by FMCG General Mills, which acquired it in in 2008 for an undisclosed amount. Since then, LÄRABAR has continued to expand its product portfolio. Today its full range includes bars, truffles, fruits & greens, nut & seeds, organic with superfoods and a kids range, all of which have been developed alongside the explosion of the healthy snack market — valued at $23.05 billion globally. With energy bars, in particular, enjoying a surge in consumer demand, brands such as Clif, Epic, Kind, Luna, and RX are all helping to fuel the $5 billion global market. However, Merriken isn’t letting the competition distract her. Instead, she’s using it to inspire future growth. “It’s exciting to see so much innovation in the category, and inspiring for LÄRABAR when looking forward,” she told Welltodo. With her focus firmly on the UK for now, Merriken plans on building an engaged consumer base of advocates in the brand’s newest market. “It’s so exciting to see such a healthy appetite for LÄRABAR and so many people aware of the brand from the US and excited to see the brand in stores in the UK,” she mused.